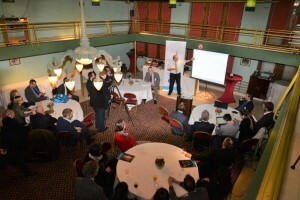 The European Brain Council (EBC) held a kick-off meeting for its project on the Value of Treatment for Brain Disorders (VoT) on 27 January, at the University Foundation in Brussels. Find the VoT presentation leaflet here. And the Vot discussion paper brochure here. Prof David Nutt reminded an audience of patient advocates, policymakers, academia and industry representatives that more than 1 in 3 European will be affected by brain disorders in their lifetime. He also stressed that the indirect costs of brain disorders make up for 40 percent of the total costs – which EBC estimated at around 800 billion euros per year in Europe, in its 2010 study. This is why – Prof David Nutt argued – continuing to raise the funding for brain research is essential. Not succeeding in this goal could mean that people diagnosed in their 20s with a brain disorder will lose 10 years of their life, warned Prof David Nutt. “There’s a very strong argument to be made in economic terms: the cost of the disease is not limited to the individual patients, but refers to entire groups of people that are affected by disease – such as families and carers. This needs to be put on the radar of politicians”. John F. Ryan closed his speech by emphasising that the topics of stigma and discrimination, and patients’ rights also have to be included in any discussion related to healthcare systems. 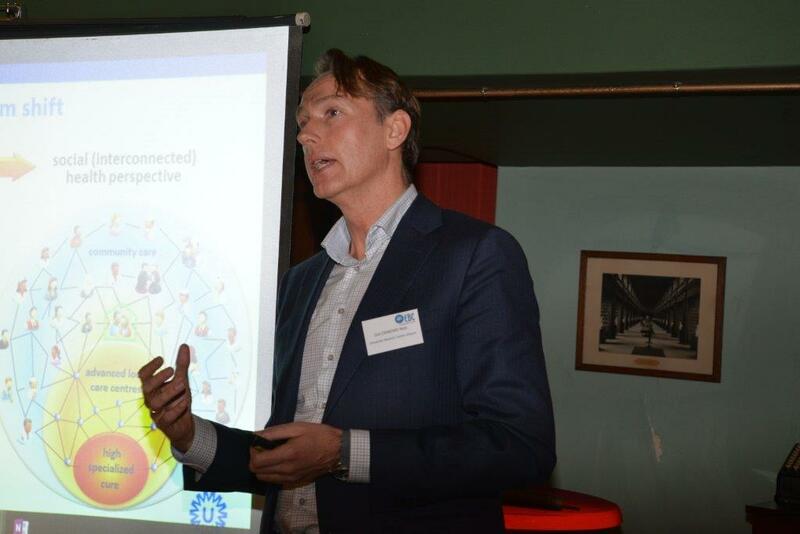 The second guest speaker, Prof Nick Guldemond (photo) from the University Medical Centre of Utrecht, talked about the importance of making the transition from institutional to integrated healthcare systems. 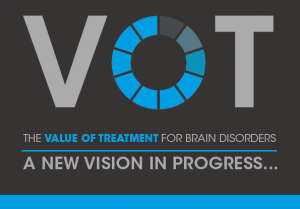 EBC initiated the Value of Treatment (VoT) project bearing in mind that brain disorders, including both mental and neurological disorders, represent an enormous burden on both individuals and societies. The broad impact of brain disorders is threatening the quality of life of millions of European citizens with important implications for the potential achievement of the Europe 2020 strategy on economic growth. EBC considers that the current healthcare systems do not adequately respond to the need of patients with brain disorders, as these are fragmented and essentially reactive – responding mainly when a person is sick – and have many deficiencies in the management of patients with brain disorders who need long-term care and treatment. Through the VoT project, EBC will look to generate findings that will nurture the political debate on this issue by providing evidence on the socio-economic impact of coordinated and patient-centered clinical interventions.